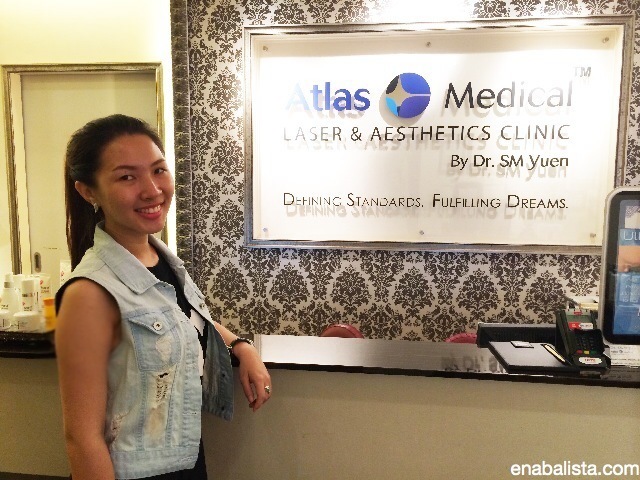 Last week I was invited down and I had my first visit and consultation session at Atlas Medical Laser & Aesthetics Clinic by Dr SM Yuen and I’m here to share with you my experience! Upon entering I had to fill in my particulars and a form with questions about my health, my skin concerns and past experiences (if any) with aesthetics treatments. After which I was ushered into a room to change into a spa towel (towel wrapped around body) so that it can facilitate the consultation as I wanted to consult Dr Yuen about the treatments for my back acne / scars. From left to right: Hydra Relief, Skin Perfecting Moisturizer ($89), Splash Away Gentle Purifying Cleanser($69), UV shield SPF 30 PA+++($69). I have started using the system since the visit, for a few days now and I am really loving the moisturizer. It’s liquid gel and very hydrating. I enjoy using the cleanser as well as it can double up to remove light make up so it’s super helpful now that I’m in Malaysia for a short work trip and I forgot my make up cleanser. The formulation for UV shield / sunblock has room for improvement as it’s a tad dry and is best applied right after the moisturizer (while face is still moist) so that is smoother. However what’s great about it is that it can double up as a make up base for me, and after a day’s wear my face isn’t oily, which can be in Singapore’s humid weather. 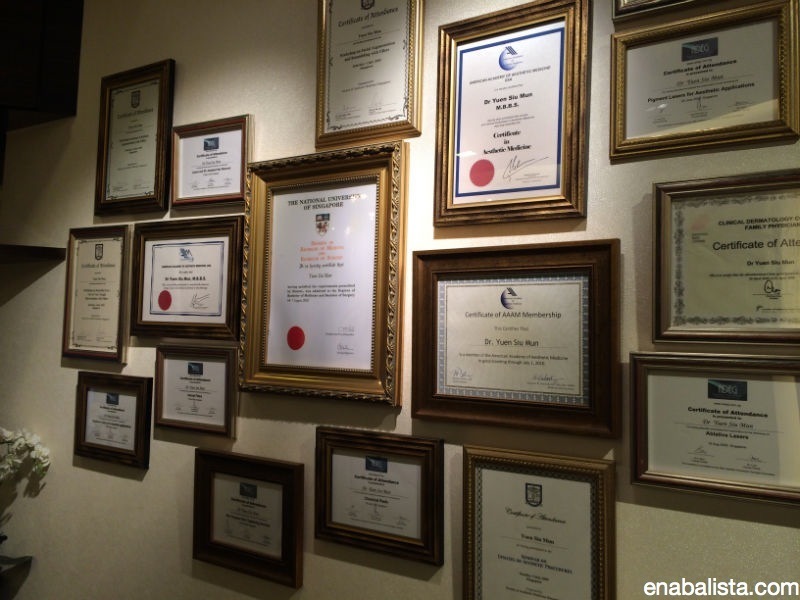 A little more about Dr Yuen, he started Atlas Medical Clinic about 6 years ago and this is the wall of certification of his degrees and skills acquired over the years. 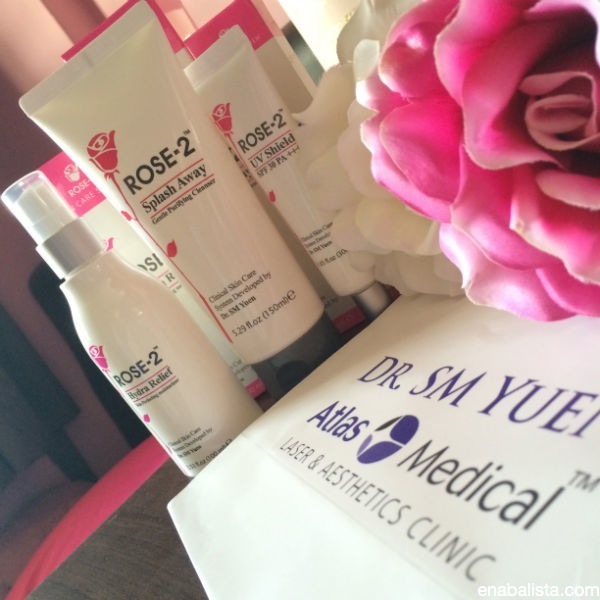 A lot of his skills are acquired from Korean aesthetic doctors so he adopted a Korean style of aesthetic treatments and skincare, which tends to be gentle and refined. 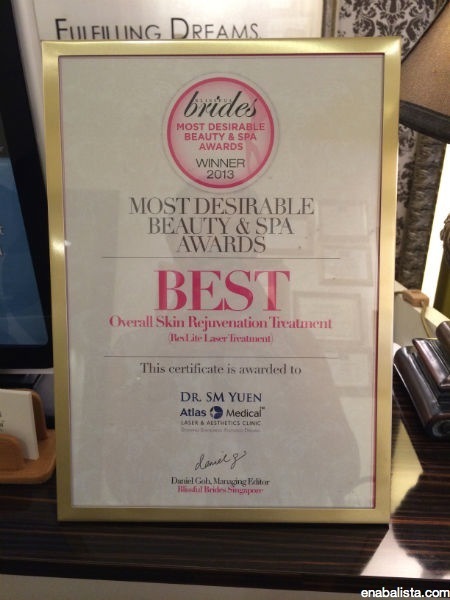 Atlas Medical Clinic was also awarded Best for Overall Skin Rejuvenation Treatment. Another line of skincare is BeBePu, gentle for acne prone skin and eczema skin types. That is all I have for this session, let me know if you have any questions!